Is this really true? Because if you go on this site called Welcome to Ask a Biologist, someone asked a Biologist if you can breed for resistance to disease and here was the response: Most unlikely! "(b) even if they were to select for them by breeding would take very many generations"
The link below is a good summary - as can be seen the vast majority of rabbits will have caught the disease but most have no symptoms. Let's rephrase your last statement: The vast majority of rabbits will have been EXPOSED to the disease but many of them have no symptoms and no infection. I have no idea why a biologist would state that one cannot selectively breed rabbits for health. (What am I misunderstanding?) Because rabbit breeders are successfully selecting and breeding for health right now, and it does not take "very many generations." I certainly can accept the biologist's first statement (a), because: Breeding for health involves multiple genetic factors, not a single gene that confers absolute health (if only...!). But the fact remains - no matter how many unidentified genes are involved, by NOT breeding the symptomatic animals, and ONLY breeding the healthy ones, and even if I don't know which are the genes involved, the weak genes end up discarded and the strong genes multiply. I speak from experience - it takes around 3-4 generations to achieve huge improvement, and several more to discover (a rabbit ends up becoming symptomatic) and to eliminate (you cull that rabbit and its sire and dam) any hidden recessive weaknesses. 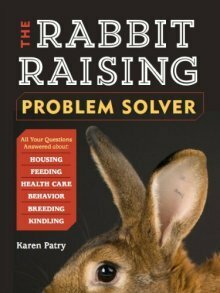 With persistence in culling the sick animals over a total time frame of around 2-4 years (4 years for a weaker herd), you'll achieve a very quiet rabbitry -- no symptoms. Along with reduction in symptoms will come increased overall health - no abscesses (or minimal, anyways), no runny eyes, no infected reproductive tract, none of the problems represented in the shocking photos at the link you presented. I LIKE having chronically healthy animals. I recommend viewing the info at the LBAH link. Those surgical photos might help you realize what is really going on in sick rabbits, when all you can see on the outside is a runny or snotty nose and some snuffling sounds. Those animals are actually chronically and possibly very sick. As the immune system becomes weakened and drained, it fails to contain the infection, which will spread and grow out of control. Euthanization is a kindness, both to the sick animal and to other healthy rabbits in the vicinity.